One of the queries we receive from the parents of first time drivers is usually, “What do I need to know about my car insurance when a first-time driver is driving my vehicle?” Before we address the answer let it be known that the minimum requirement for any driver to be able to claim from your insurance provider is that the driver be in possession of a learner’s license. To find the most up to date information we Googled Car Insurance and contacted one of the insurance companies found in the search results. In this case we contacted MiWay Car Insurance via the online contact form on their website. MiWay is a direct short-term insurer and financial services company, offering customers a range of short-term insurance products including motor, household, homeowners, business insurance – as well as liability cover. MiWay then called back within a few hours to answer my questions pertaining to first-time or learner drivers. As expected, when claiming, the first-time driver involved in the claim must at least have a learners license and be driving with a licensed driver when the incident occurred. Other factors that impact your claim is the age of the first-time driver and also the time the incident happened. 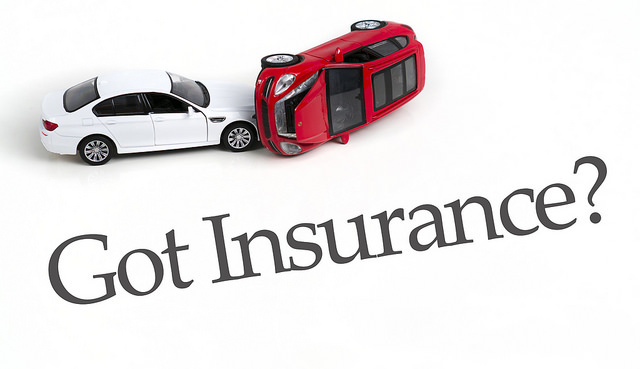 You car insurance excess will be higher if the driver is under the age of 24 and the incident occurred on the weekend between 8pm and 6am. Be sure not to teach your children your drive then. We would of course recommend they utilise the services of the many driving schools here instead. Before you embark on a drive with a learner driver please ensure that your insurance is up to date. You can contact MiWay for a quote if unsure. Miway offers innovation in insurance such as buying managing of policies online, having a quick hail claim process to avoid the call centre queues after big storms, auto authorisation of glass claims when completed online for qualifying clients), the app (claim, accident reports, generate and send documents (confirmation of cover, border letters). As 2010 comes to a close we at iDRIVE.co.za are happy to announce that, with the addition of Brian Coutts of BJ’s Driving School, there are now over 100 driving schools throughout Gauteng and the Western Cape to choose from. Finding Driving Schools in South Africa only takes a few clicks, an SMS or email. We’d also like to take this opportunity to wish you a safe trip to your destination and back this festive season. We at iDRIVE.co.za will continue to provide you with the best driving schools into 2011 and beyond.